A recent trip into the Sussex Weald covers a long expanse of roadblock locations at Burwash Common, Burwash, Etchingham and Robertsbridge. An added bonus was the presence of the Corps Stop Line just two miles to the north and so I found myself yo-yoing between the A265 and the River Rother. I stopped off first at Burwash Common; the two roadblocks that were here have no surviving evidence and so I took my first detour of the day up to Witherenden Bridge. The approach to the bridge was lined with 15 buoys along the verge; this was a good start, as the original roadblock had a total of 18. The 1941 Roadblock Report lists vertical rails in sockets here too. It does perhaps reveal the level of communication between the army and the County Council (who sunk the sockets into the road surface) that there were five rails, but only four sockets to put them into! 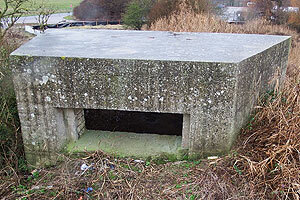 About 280m away on private land and covering the bridge, stands the Type 28A pillbox shown below. I moved on to the next bridge, seen at right. 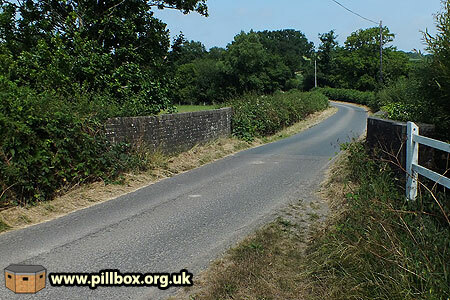 This gives you an idea of the terrain; lanes only one vehicle wide, punctuated by the occasional small brick bridge. This particular bridge had 15 buoys and 12 vertical rails, with only 7 sockets for the latter. Unfortunately, no roadblock evidence remains here today. 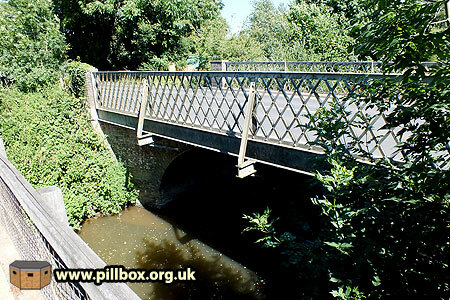 It's also only a very small bridge, but it had a Type 24 pillbox as well as another Type 28A built to the north to defend it. Using a public footpath, I located the Type 28A shown below on the western flank. The interior was quite filthy - the floor was covered with a thick layer of stodgy mud, with branches and other debris scattered about. 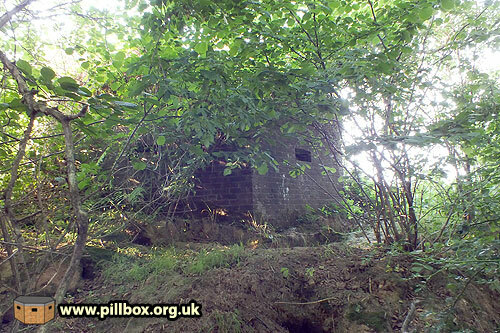 I followed the footpath across the road and found the variant Type 24 pillbox perched on the bank of a small stream. It has only three embrasures, and the entrance is offset to one side on the rear wall. 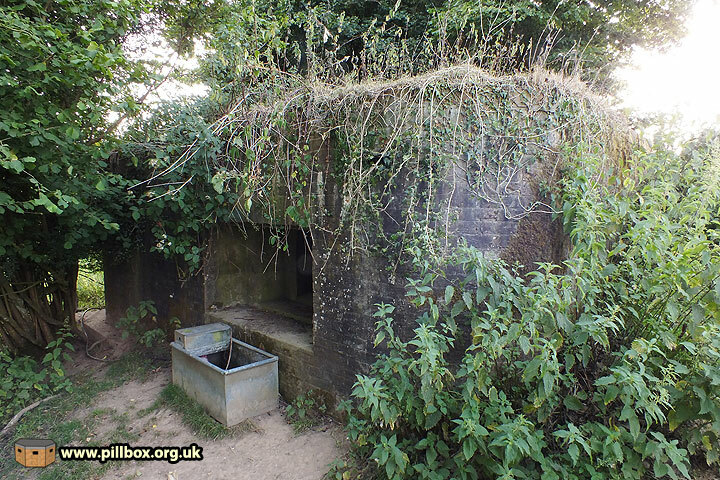 An external blast wall protects the doorway, but, unlike other pillboxes in this area, this does not have an embrasure in it. 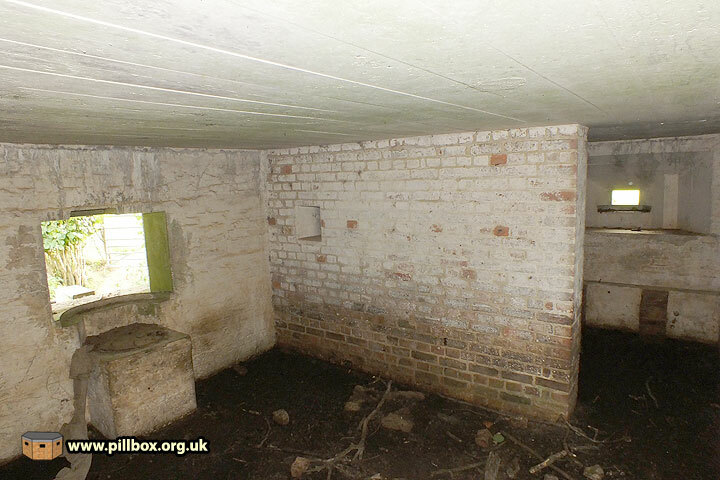 The pillbox itself has no rearward-facing loopholes; one was omitted due to the position of the door, but there's seemingly no reason why the other was, and why the flanking walls are solid too. 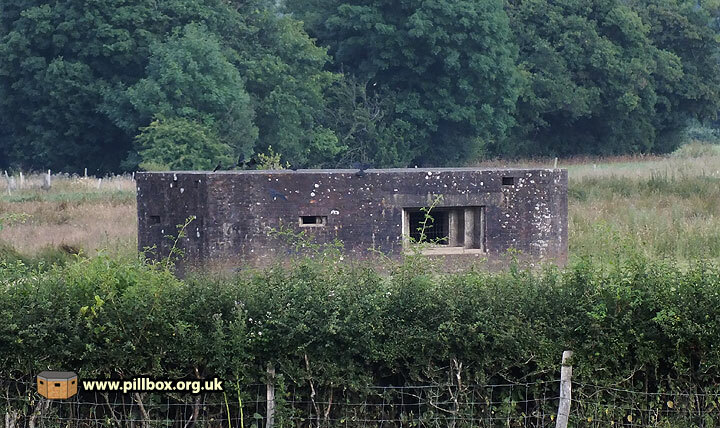 This lack of all-round vision/defence makes the pillbox vulnerable to infantry assault from the flanks or rear. A blast wall divides the interior in two. The amount of brambles and nettles around the entrance prevented me (wearing shorts) from getting in, so the photo below taken through an embrasure is the next best thing. On my way to the next bridge, I chanced upon the three buoys at right on the verge near a small bridge (white railings in background). These buoys are not listed by the Defence of Britain Project, and neither are they in the roadblock report. I have no reference to them or defence/demolition of this bridge from other sources. I really enjoy driving these narrow country lanes and chancing across surprises such as this. The next bridge bore no fruit in terms of surviving relics, and so I made my way back onto the A265 and drove out to Burwash. 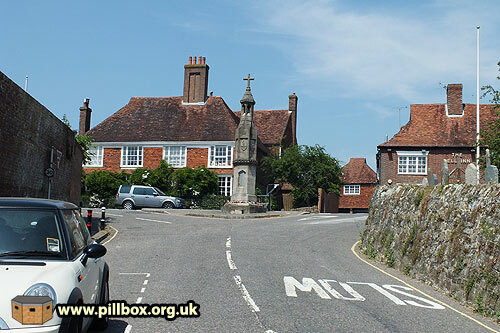 Burwash is a beautiful village, perhaps most famous for its association with author Rudyard Kipling whose house, Bateman's, is about half a mile south and open to the public. Kipling's son, John, was a Lieutenant in the Irish Guards, and was killed in September 1915, aged just 18. Lt. Kipling's name is one of those on the Burwash War Memorial, and our next stop is just here. One roadblock was on the A265 to the west of the memorial. 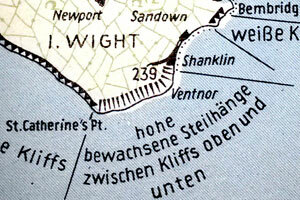 It was recorded in 1941 as comprising just two cylinders, which, given the width of the road, was being optimistic to say the least. It's not surprising that it was regarded as redundant. A second block was to the south, downhill from the monument as seen at right. Note the high walls on both sides; ideal siting for a roadblock. The block comprised 30 cylinders, but an extra 24 were proposed, as were 18 hairpin rails and five pimples. In the event, these extra obstacles were not implemented. Both Burwash Common and Burwash were designated as defended villages as opposed to nodal points. This implies that they were only discreet Home Guard defensive localities without any obligation to hold the defences for a set length of time. This probably explains why there are comparitively few roadblocks defining a perimeter. The next concentration of defences are at Etchingham, two miles eastwards. Two out of the three roadblocks in the area are, not surprisingly, on bridges over the stop line. The photo at right is the bridge just east of the railway station; the formidable obstacle the river provides is evident here, hence the block. 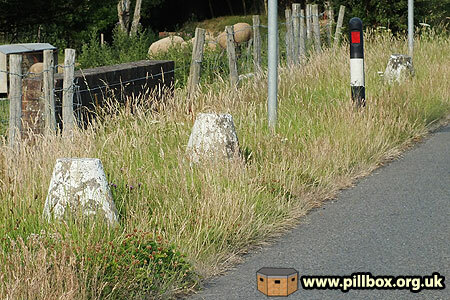 Again, no evidence of the vertical rails, buoys or cylinders that once stood at the roadside. There were a few stop line pillboxes in this sector too, but I failed to see any of them - maybe they'll appear when the vegetation is low in winter. 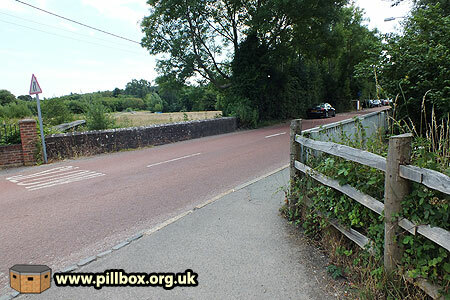 The final stopping off point was at Robertsbridge, a wartime nodal point. There were a pair of roadblocks in the village proper, but documents I found from May 1941, indicate that the focus of the nodal point was to be around the river crossing to the north. 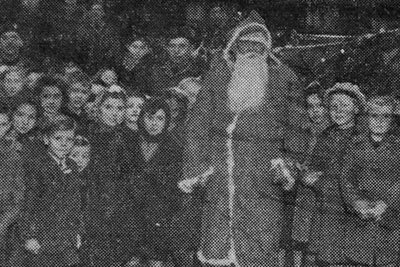 (Photo at right). One reason for this was to reduce the number of civilians (50) that would need to be evacuated to Salehurst, just down the road. 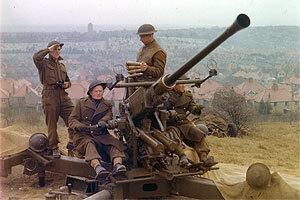 This left a garrison of 75 Home Guard to man the roadblocks and other defences. 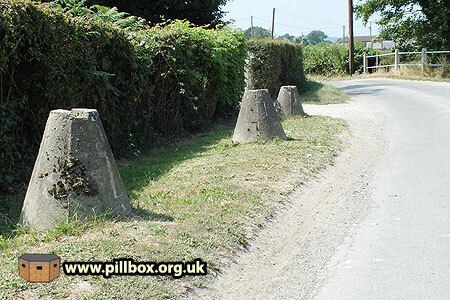 The document refers to a 'defence post to the north', which ties in with a pair of pillboxes for which I have grid references from another document; no trace could be found of these. One final defence work at this stop line crossing was a railblock. Just to the south of the road bridge, a railway line crossed the road at an angle and passed over its own bridge. 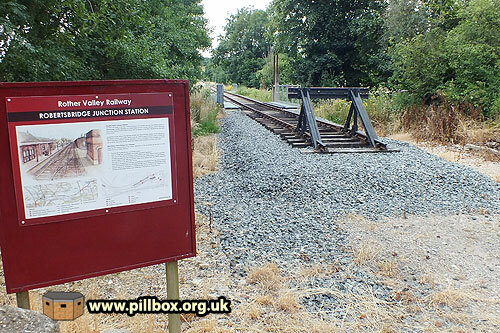 The line is actually being reconstructed by the Rother Valley Railway, as the photo at right shows. It currently stops short of the road, but it appears that there are plans to extend it to meet the Kent and East Sussex Railway at Bodiam. The photo below shows the remains of the railway crossing over the river, as seen from the road bridge; the railblock would have been at the right hand end of the bridge. A long day with many miles travelled; I covered 25 sites in all, a few of which I've described above. 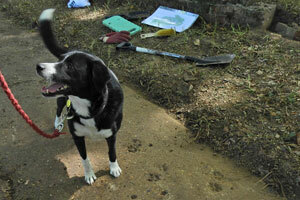 As can be expected, very few sites still retain evidence, which is why only a few of them make it to this blog. Today's adventure has, however, taken in not just roadblocks, but pillboxes, stop lines, nodal points, finishing with a railblock next to a roadblock. Although this part of my research is all about roadblocks, they form just one element of a network of defences, and if you bring these into the picture, you begin to understand roadblocks!